I am totally into holiday mood. Hope this year ends well with lots of fun, love, food and gifts. As I will be travelling I won’t be posting for few days. So today I have got Mac lipstick for myself. I always like treating myself with MAC lipstick. Its also christmas time a perfect festive season to gift oneself. 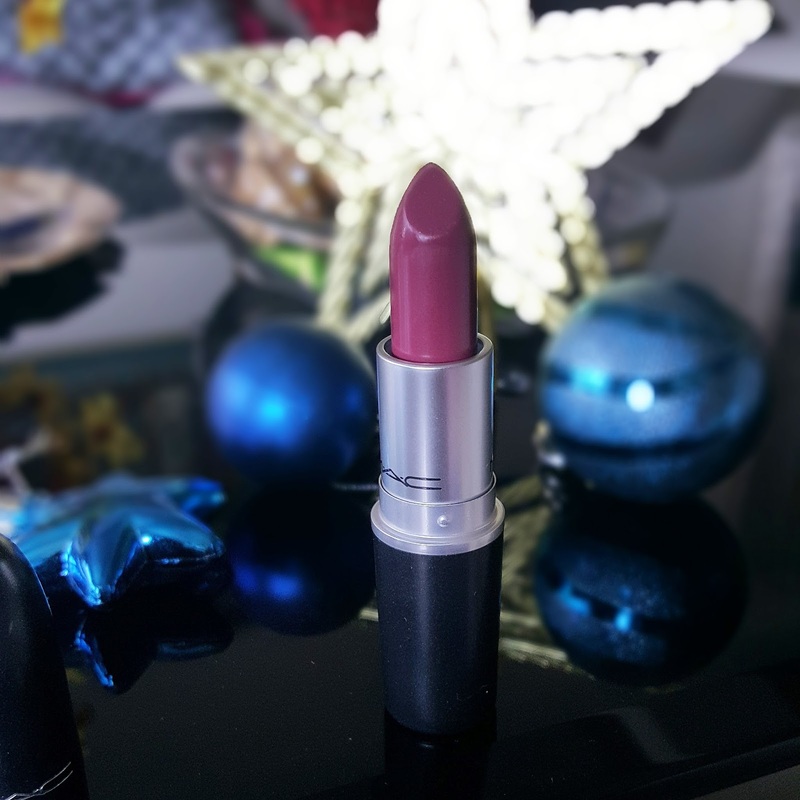 I am always excited to add new mac lipstick in my makeup collection. This particular shade from MAC is known as Captive. 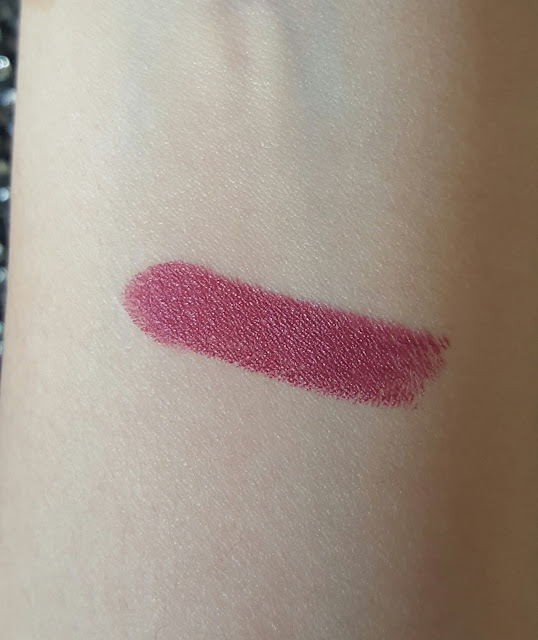 It was quite captivating when I first swatched this lipstick in a store. Its first time ever I purchased this shade. This lipstick is in satin finish and i am totally loving it. It comes in usual M.A.C packaging with vanilla fragrance. Captive is beautiful cool toned Plum lipstick. A perfect shade for fall/winter. This color goes on almost every skin tone. It looks gorgeous on fair skin tones. While on medium to dark skin tones it looks more of a light pinkish plum shade. This is something different from usual fall colors. Its highly pigmented and goes opaque in just one swipe. It stays on for 6 hrs without having to reapply it. It mildly stains the lips. Texture is quite creamy soft and glides on smoothly. 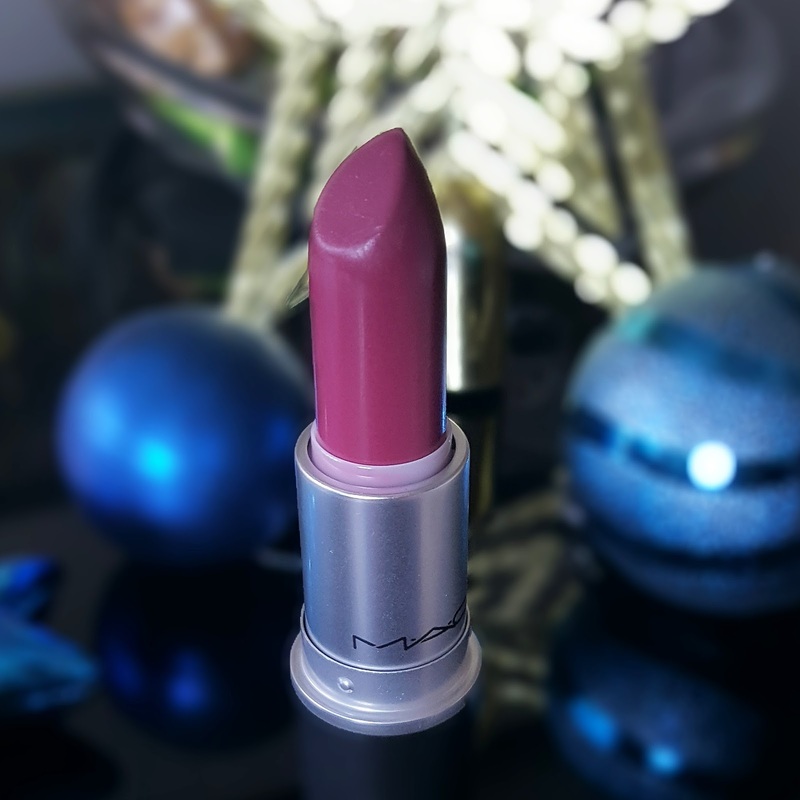 Mac satin finish lipstick are the best ones rather than going for complete mattes i would go for satin. This lipstick is not so moisturizing but because of its non drying formula I don’t feel any need to put lip balm prior to application of lipstick. If you have chapped lips you need to exfoliate them before applying this lipstick. It can be used on pigmented lips to it gives a completely coverage. Doesn’t accentuate fine lines. The formula is non drying and feels feather light on lips. This shade is intense and looks flattering when i use it for night time. I liked this color because when you can’t carry of darker plums and rich burgundy or wine shades this color perfectly comes in. It doesn’t contain any shimmer. It doesn’t bleed or settle into fine lines. It’s also a paraben free lipstick. Overall recommended. This shade is aamzzingg for fall. Captive is a part of Mac permanent line so its easily available. This shade is something different than usual dark fall colors. It looks flattering on fair skin tones as well as on dusky tone. I am huge fan of Mac lipstick. I still think they are the best lipsticks in terms of quality. All I can say Captive is gorgeous shade do try this shade it gives you that classy chic look. I think i have found my perfect shade for fall have you? 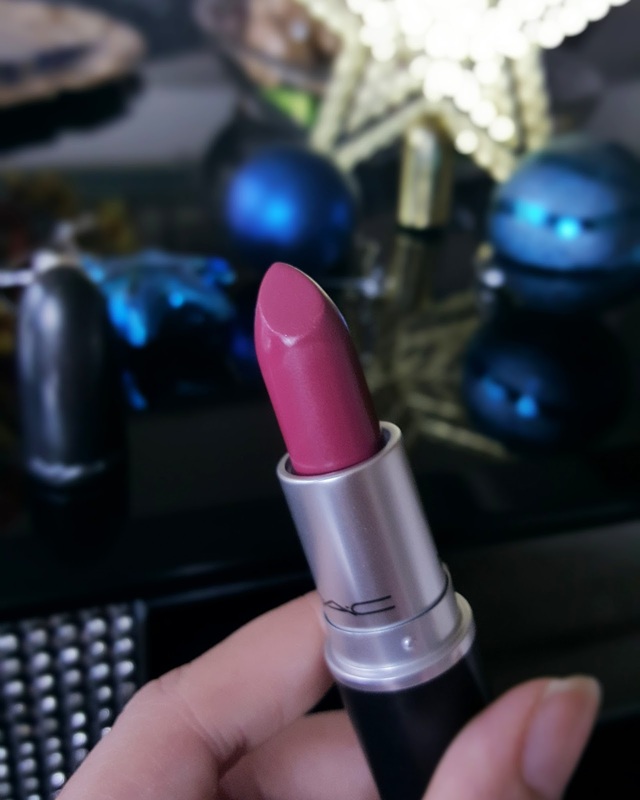 very pretty shade :) I have 2 lipstick from MAC matte range and i have not yet tries satin range.. I would definitely check it out..
thanks doll.. its a beautiful shade for fall! !